Sheridan McGuane Baseball & Softball is the premier developmental baseball program in Chicago. Our baseball league provides the opportunity for boys and girls from 4 to 14 years old to reach their potential through fun, professional instruction and good balanced competition. Our fields are located on the near west side at 910 S. Aberdeen (near Halsted and Taylor) and 2901 S. Poplar (near Halsted and 31st). State-of-art field-turf ballpark (built 2011) at Sheridan Park. 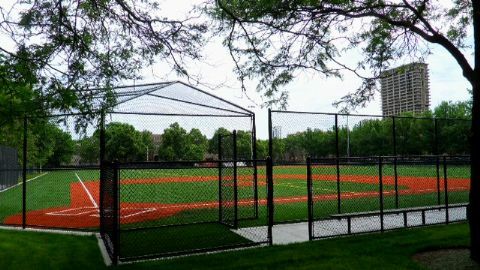 Chicago’s unpredictable spring weather causes most leagues to cancel many games – not Sheridan Park, field-turf is always ready to play!